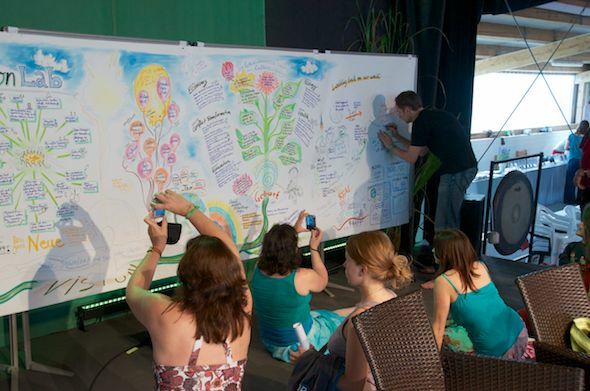 During the VisionLab “Economy and Consciousness” at the occasion of the Celebrate Life Festival 2012 a 7,5 meter long live visualization (Graphic Recording) was created. 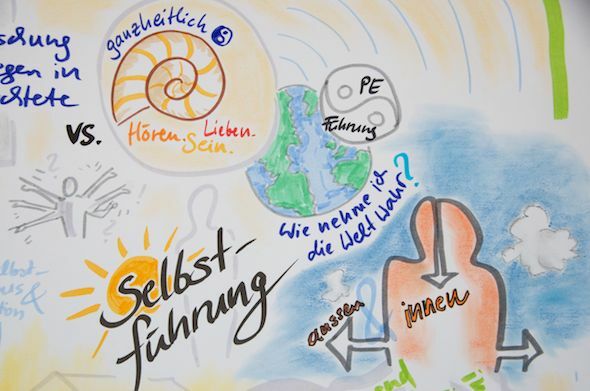 Teams working on future visions brought together professionals of various industries together with experts of “inner science”. 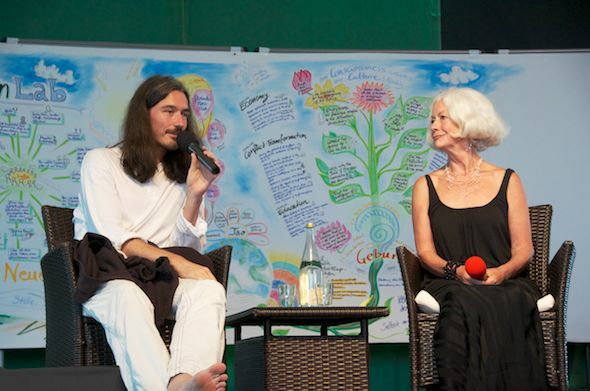 Thus participants were enabled to anticipate the (in many systems much needed) consciousness shift, in order to perceive the next steps for humanity and to support these. In order to do so, the VisionLab process used a combination of creative dialogue and meditative presencing work. 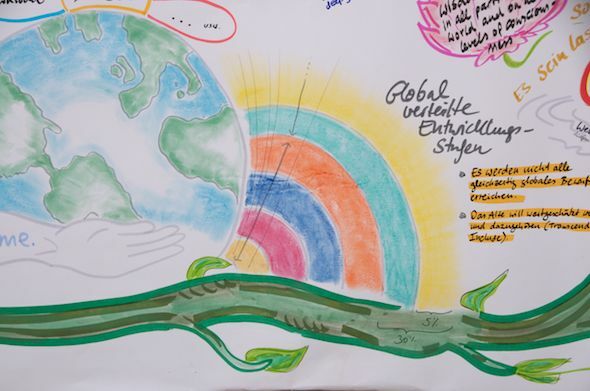 Economy and Consciousness: “Economy and business have to re-invent themselves – What consciousness is needed therefore and what are the next steps?” – 7,5 meter long Graphic Recording artwork. 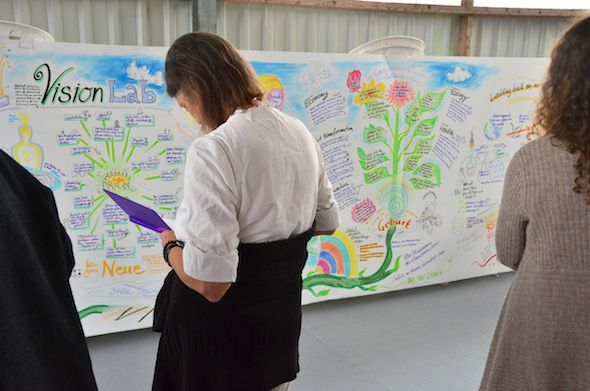 Participants in front of the Graphic Recording of the VisionLab. Mathias Weitbrecht during a live recording session. 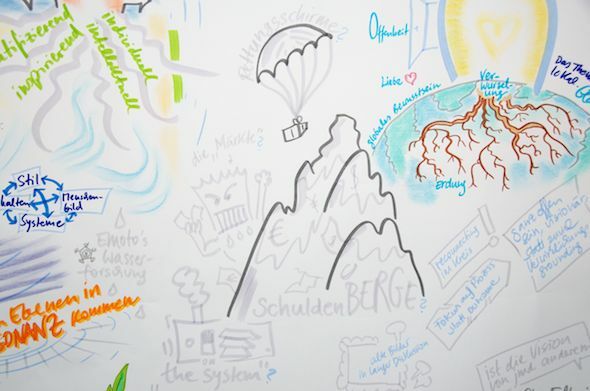 Detail: The financial crisis with the so-called “system”, the “markets”, “bailout funds” and “mountains of debt”. Detail: Individual and collective developmental levels as one of the integral perspectives used during the VisionLab. The larger context of the VisionLab work is that of an” awakening” field” of” consciousness. Experience suggests that there is an ” inner science” to a visioning process, and that the ‘success’ of this process (however we may wish to define that) is due to our alignment with some key inner scientific principles. The essential principle is based is that of the availability of inner information. The premise – and the participants’ experience is that much more information is available to us, through subtle channels, than we normally allow. When we do learn to allow it, and cultivate a deeper sensitivity within ourselves to the informational fields of which we are a part, then access to information within ourselves increases and deepens. The content of this information – and the process by which it is brought forth – seems to be transformative in its effect. When we engage in this work there is a felt intensification of the field and the impact of the information that becomes available is also perceived to increase. Its impact is sometimes referred to as “evolutionary” in nature in that it prompts and awakens humanity to its next steps, in evolutionary terms. 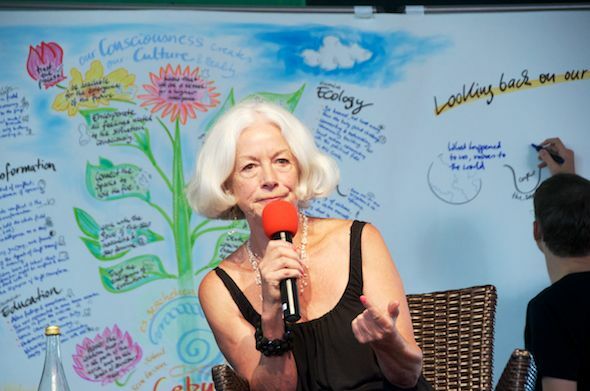 The effects or outcomes of this work are experienced as new projects, ideas and innovations, and as leading to further potentially transformative shifts in human consciousness, and to changes at societal and global levels. We could call the capacities and sensitivities which allow for such development, and which are also a consequence of it, as “future-based inner technologies”. Future-based innovation for instance, which is one outcome of the VisionLab process, could be said to come to us ‘as if from the future.’ This is not the future that we think of as ‘tomorrow’ but rather that which is available to us as the highest potential “enfolded within the present” as a result of a particular quality of embodied presence that we can cultivate.